Make sure you are at the forefront of this financial revolution, join the Fintech Disruption Summit! Coffee and tea is served throughout the day. See the updated list of confirmed speakers and panel participants here. See the updated list of startups here. This event is for anyone interested in banking, finances, investment, technology, etc. 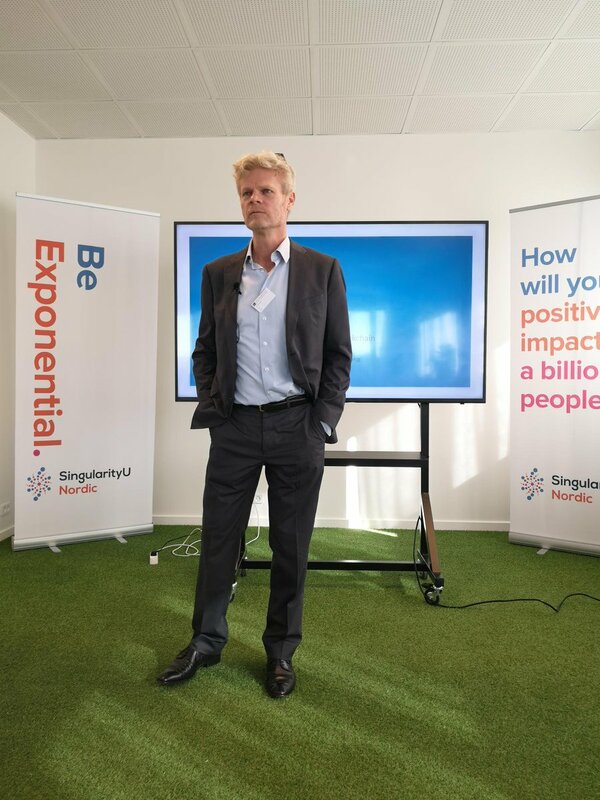 Where: SingularityU Nordic, Titangade 11, 2200 Copenhagen, Denmark. Tickets include lunch giving you the perfect opportunity to mingle and network in a casual atmosphere. If you wish to become an event sponsor, please send us an email with the subject line “sponsor”. NB: Coffee and tea is served throughout today. We are in the midst of an unprecedented technological revolution. The potential gains can help us to make a quantum leap forward; equally, if we do not manage this transformation, it can significantly – even dangerously – disrupt our world. Buy your ticket now with 50% discount! "Tokenization of assets, a perspective." Partner at Bird & Bird. International legal specialist in blockchain. Topic: Tokenization of assets, a perspective. Martin is a partner at Bird & Bird law firm, where he works with IT and new technology from both a legal and commercial perspective. For over 20 years Martin has co-founded several IT startups. He serve on a number of boards of eCommerce, IT and web companies, where his vast knowledge about business, technology and legal matters help guide companies to success. Martin also spend a considerable portion of his time advising on legal and commercial issues related to open licensing within open source, creative commons (open content), open data, open APIs and more. In Denmark, Martin is considered a pioneer within the Internet and web industry as he introduced the concept of Internet law in Denmark back in 1994. The “exceptional” Martin von Haller Grønbæk enjoys a superb reputation in the market for his expansive technological expertise. "Deloitte perspective on blockchain and tokenization in Denmark." Topic: Deloitte perspective on blockchain and tokenization in Denmark. Lawyer at Danmarks Nationalbank, Financial stability. "A perspective from the National Bank of Denmark on blockchain, tokenization and settlement processes." Topic: A perspective from the National Bank of Denmark on blockchain, tokenization and settlement processes. Lawyer with great interest in and deep technical understanding of both the regulatory and technological landscapes in FinTech, RegTech, and Blockchain. You can now watch all videos from our yearly conference on YouTube and on our website at https://t.co/smcFCTKxJm. 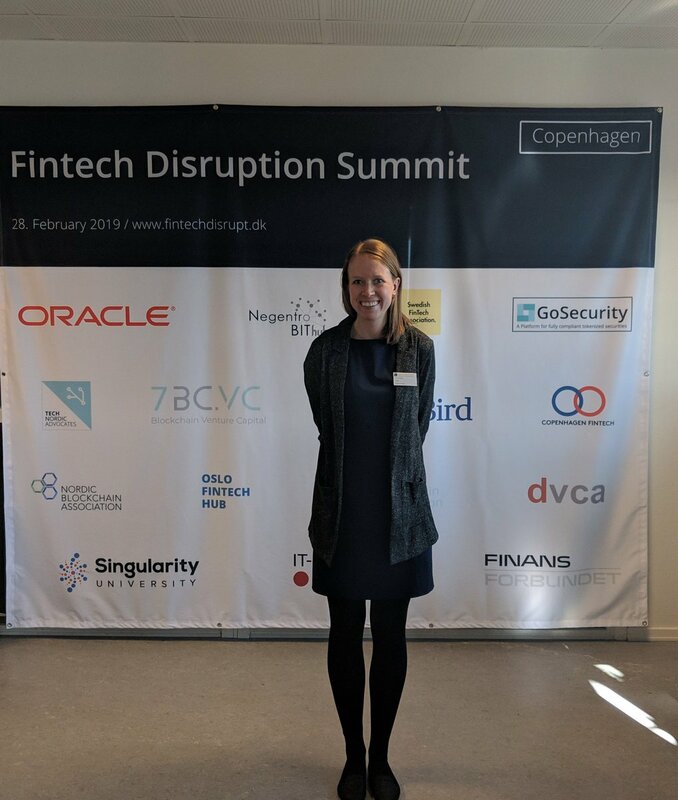 Take a look at my recap of the @fintech_disrupt in #Copenhagen last week! @JulianneSloane: 'It was great to speak at Fintech Disruption Summit ( @fintech_disrupt ) & connect with finance, tech & real estate professionals about "Real Estate on the Blockchain"
#FintechDisruptionSummit did a great job defining what in the digital space is here to stay. It's always great to share a stage with one of our advisors @JeppeStokholm and industry leaders such as @IBM and @Deloitte. 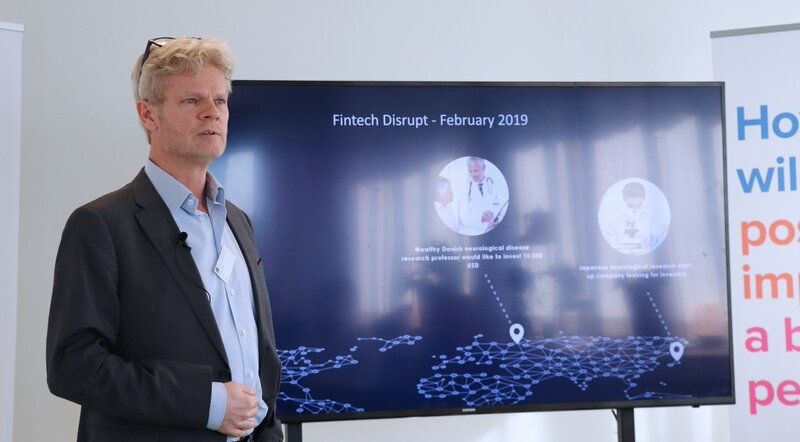 You can now watch all videos from our yearly conference on YouTube and on our website at www.fintechdisrupt.dk/presentation-videos-2019/. 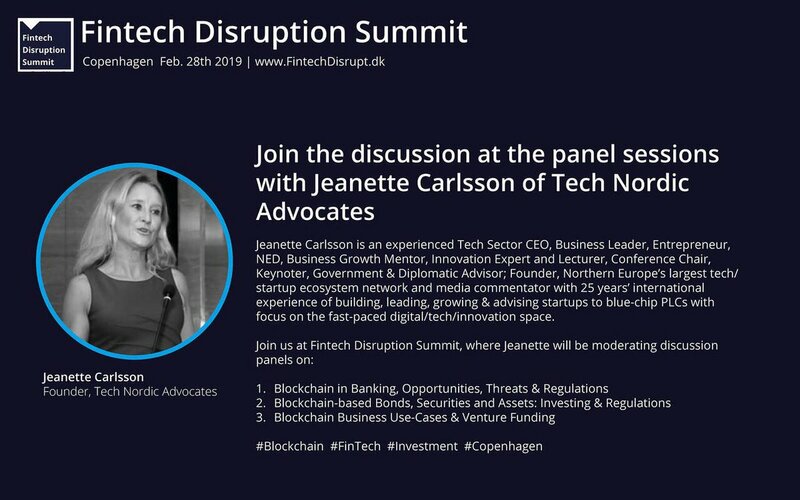 Meet and network with representatives from Nationalbanken, Danske Bank, DNB Bank, and Handelsbanken at Fintech Disruption Summit in #Copenhagen on Feb 28th. Order your ticket on http://fintechdisrupt.dk and get 50% off the price! If you have any questions about the event, or you have ideas you want to share, please context us by mail using the form below.